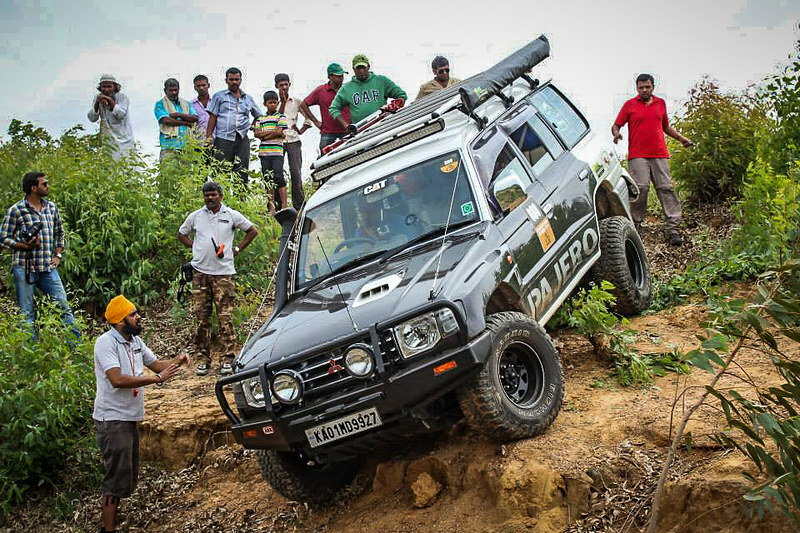 It was more than a month since the Yercaud trip and quite a few folks were eager to go out for a day OTR. So when the announcement came for it, the attendee list was already quite long. 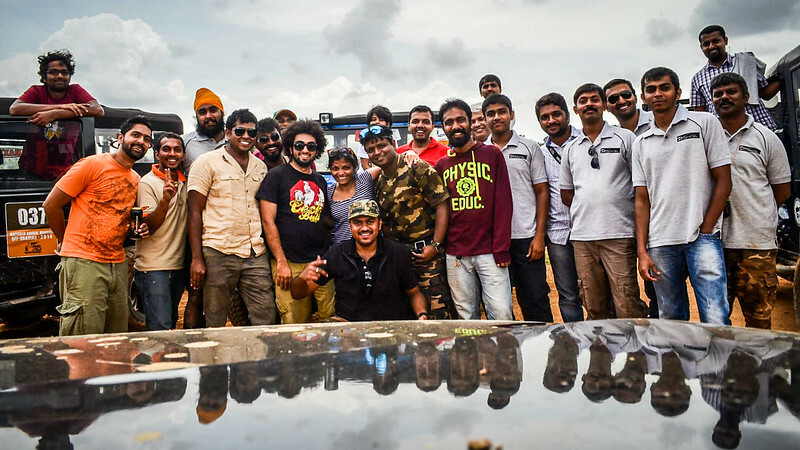 The venue was going to be somewhere around Hoskote which is hardly 20-25 kms from my place. 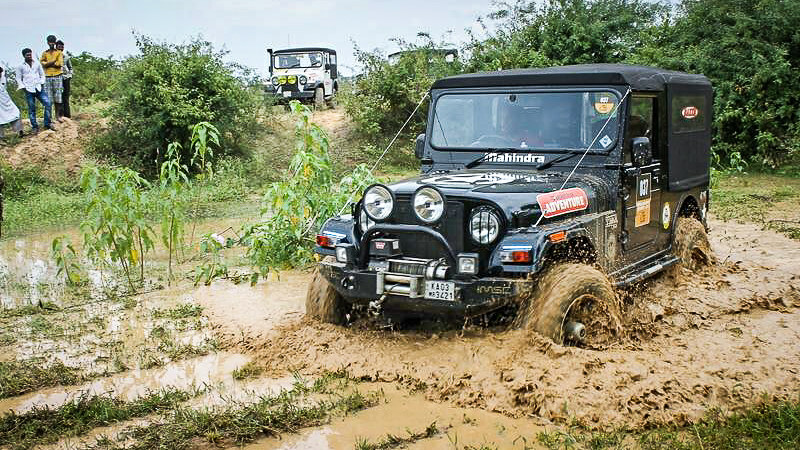 One of the JoB guys had done a recce and had promised us a good mud trail for about half a day, and what a day it was! Although it was a weekend, Gozu was out for some offsite meeting, and that meant Pozu had to come along with me for the event. 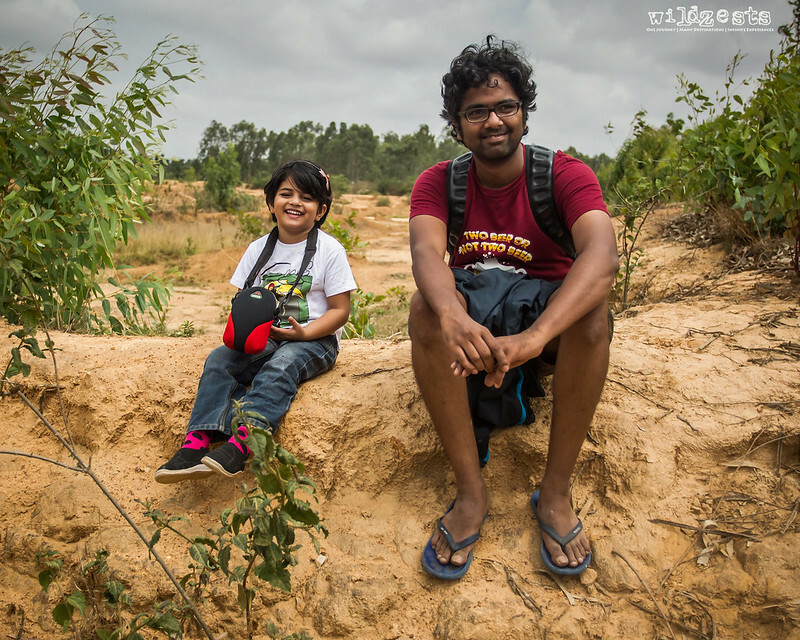 The little one was all excited about going offroad after a relatively long break and was eagerly looking forward to the day. 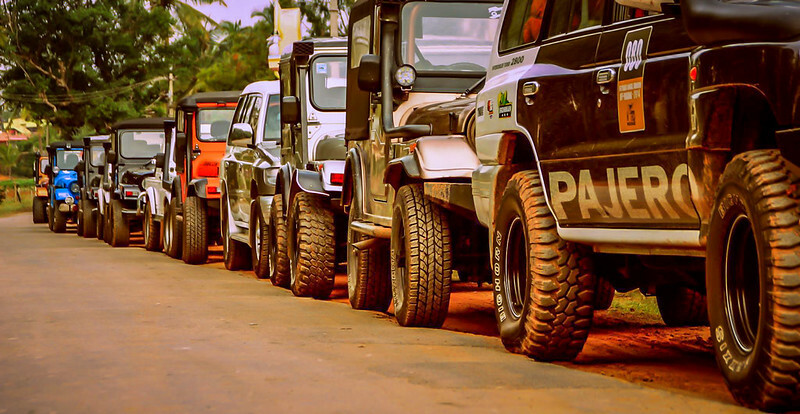 The turnout was quite good for the event and we had over 15 jeeps in the convoy. 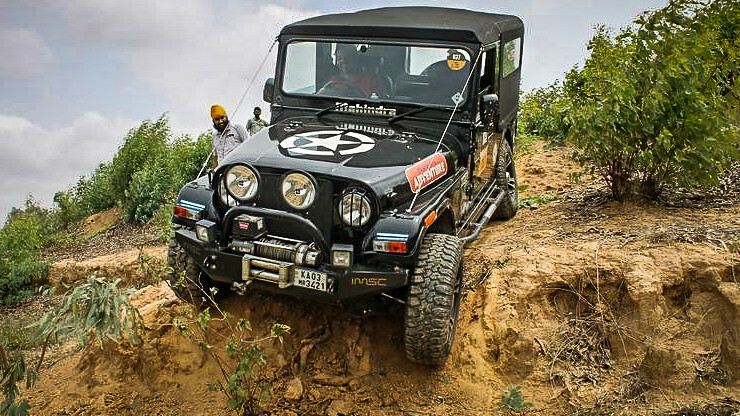 Within 10 mins of reaching the spot, we had finalized our first obstacle. 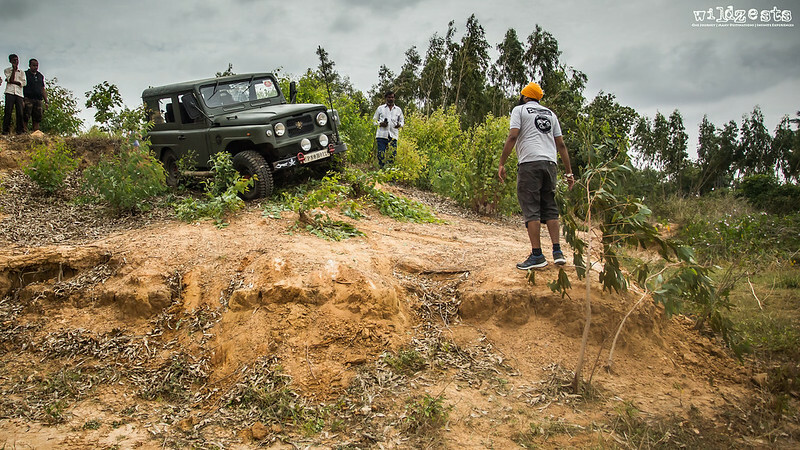 The first part was an entry into a ditch and then a sharp right turn with a two-step climb to reach the top. 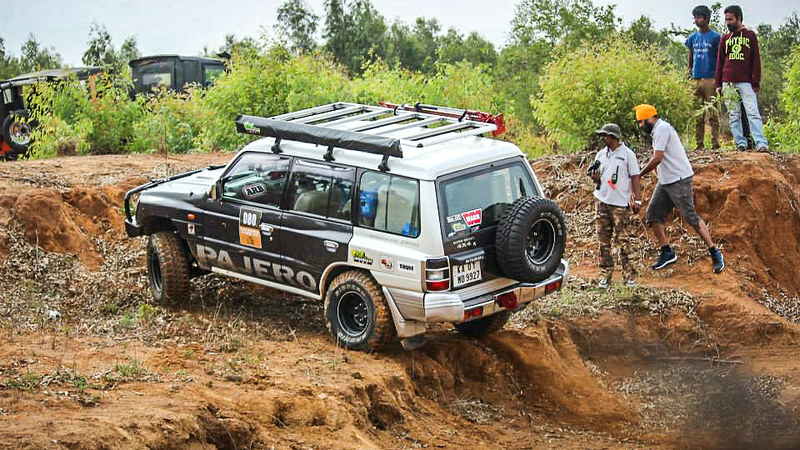 There were a couple of tree stumps at the top which had to be avoided to prevent any underbody damage. The stock T-fort needed some help to make sure the foot boards don't get bent while going into the ditch. Pozu was strapped in her seat and we were ready for our turn. 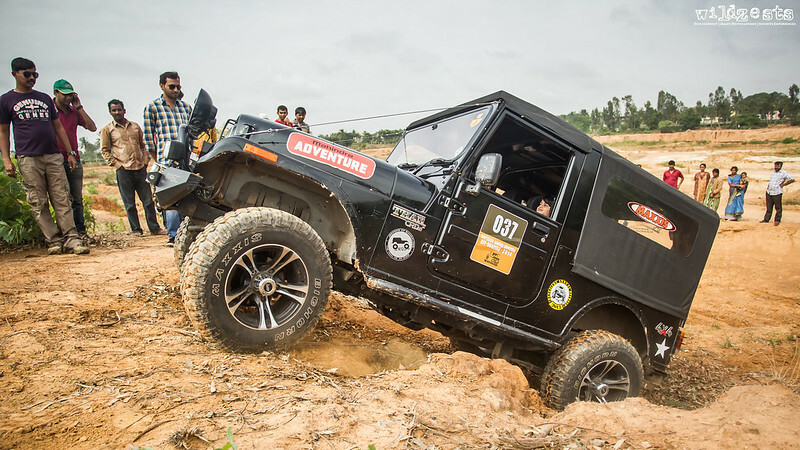 She was initially nervous but soon that changed into excitement and thereon it was only about what next obstacle were we going to try. Next up was a small water crossing through a grassy patch. This was a pretty easy obstacle and nobody seemed to be having any trouble getting through. So to make matters interesting, once I reached the end, I did the obstacle in reverse and again forward. The thought was to dig it up a bit and make it more challenging. And, it worked. 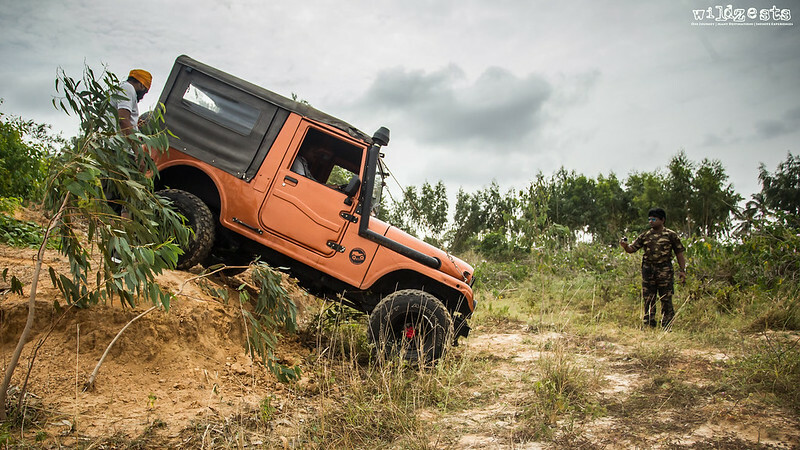 The next jeep after mine had his wheels spinning and eventually had to be winched out - my first recovery of the day. A little ahead we had a small technical problem with a jeep and a tree stump. 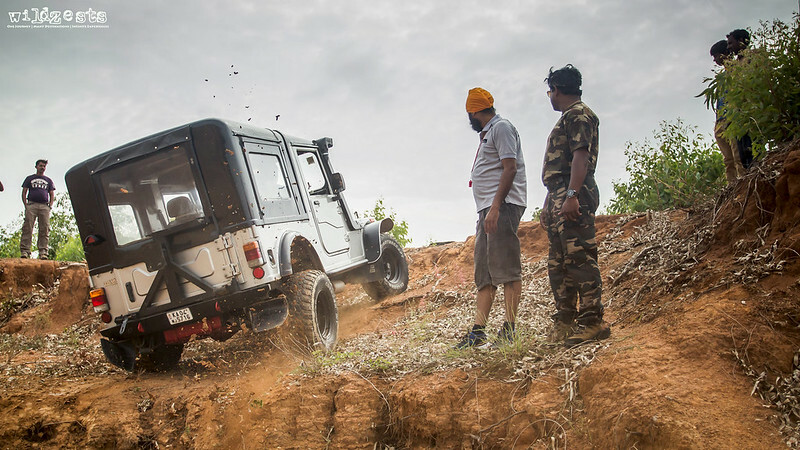 Now Sidhu's jeep has a bit of history of getting stuck on tree stumps, so this wasn't anything very unusual. 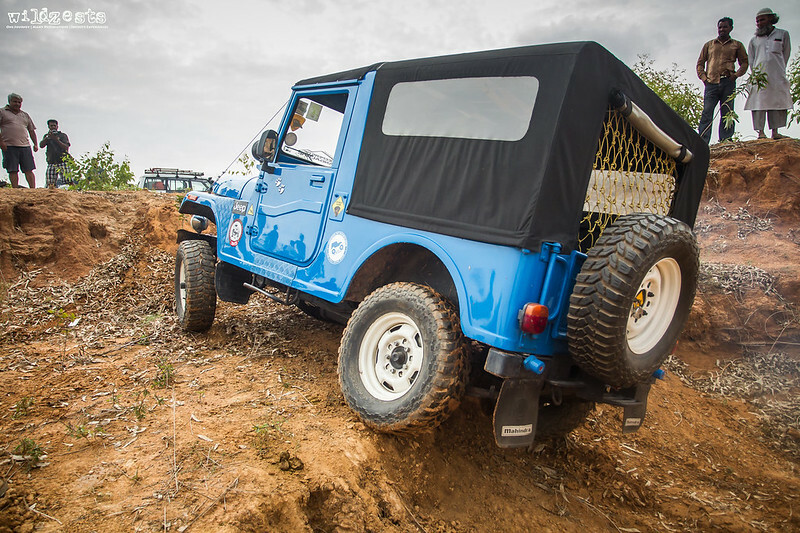 The recovery team took some time to get his jeep out of the mess and soon we were on to our third obstacle. It was a reasonably steep decline with a 2 feet drop at the end. 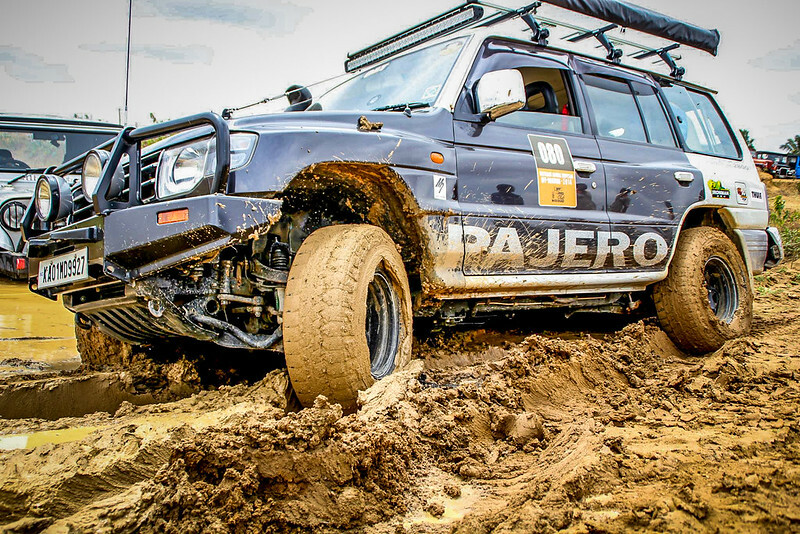 It wasn't going to be too difficult for the jeeps because of the reasonably good breakover angles but the long wheel base SUVs wouldn't have made it without risking underbody damage. 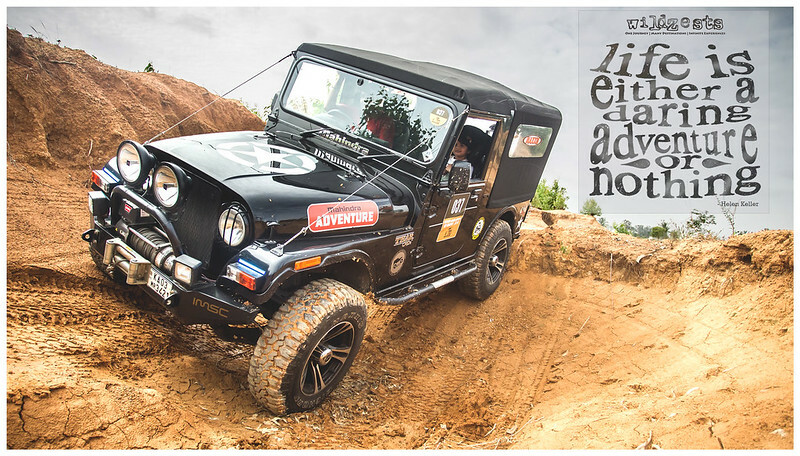 The jeep guys ofcourse had quite a bit of fun with a good test for articulation (or the lack of it) as they got down. I had the right rear wheel in the air as usual and that made for some good photo opportunity. 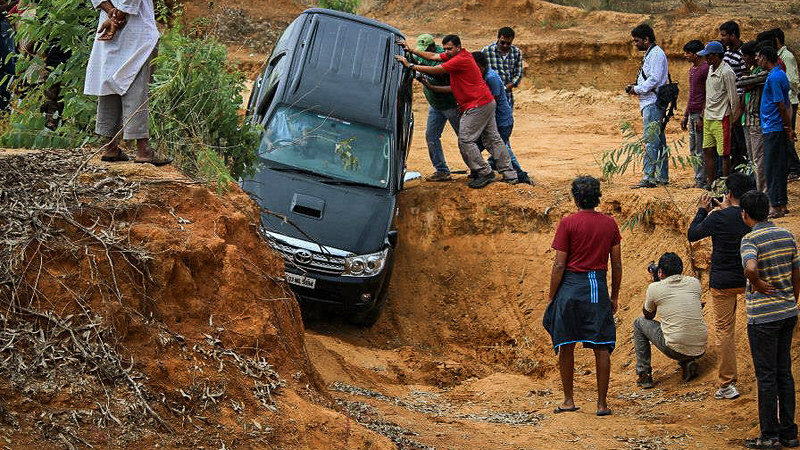 Good thing was that there was another way out which wasn't as dramatic, so the SUV guys could take that for a safe exit. 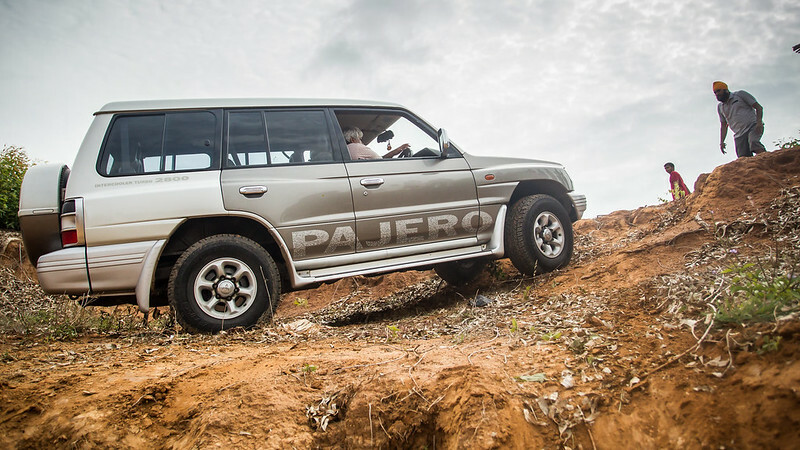 But Santy's Pajero can even make the safe exits equally interesting. Pozu was enjoying herself thoroughly all this while, she had made friends with Tejas who was now nicknamed "naughty uncle". He did a splendid job of babysitting her while I was busy with other things. 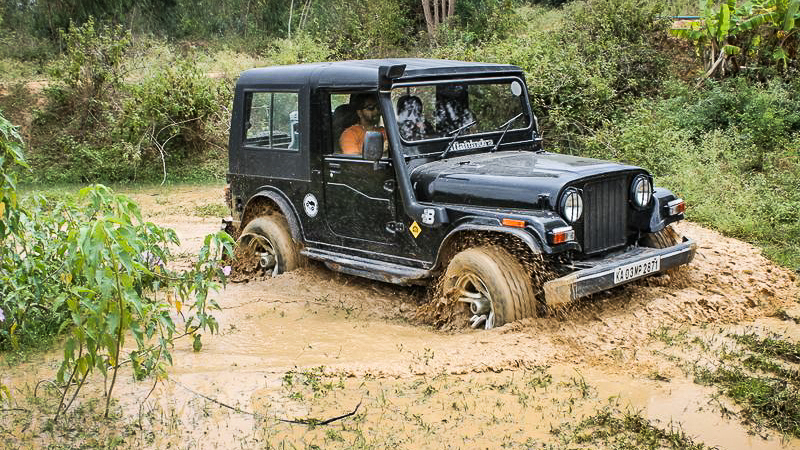 Being a lake bed, we were all wanting to try our hands with some slush and it didn't take time to get a couple of jeeps swimming in a small pond as soon as we spotted it. But it wasn't going to be easy, the lake bed has been mined for clay for quite some years. So what they had gotten themselves into was a clay pit and there was no way that they were going to make it out by themselves. 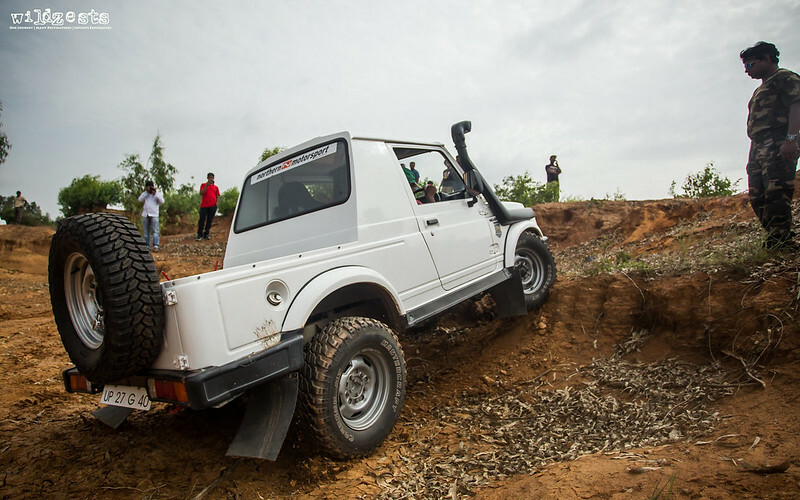 First it was Teju's Thar that got stuck and the mighty Pajero went in for a rescue only to realize that he himself was stuck. Both of them had to be winched out to safety. Next it was me who got stuck while trying to be a little ambitious through the slush and had to winch myself out with help from the Jonga for an anchor. 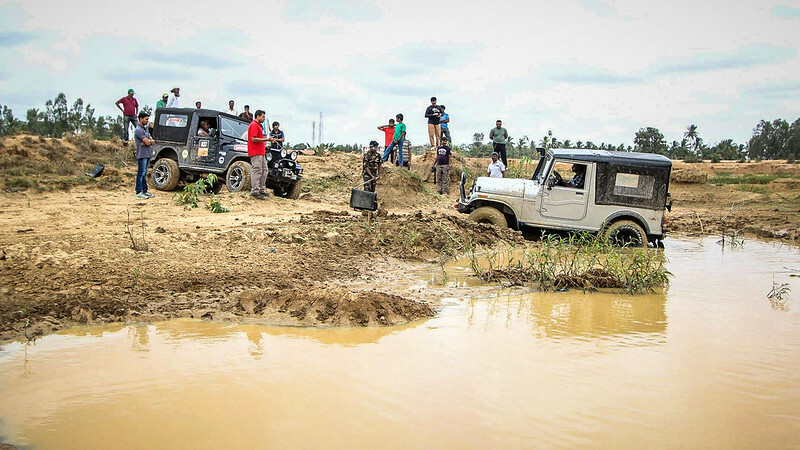 But the favor was returned quickly as he got stuck while attempting to cross that clay pond and had to be winched out. Not learning from any of our ordeals, KVK got his MM550 in as well, only to get helplessly stuck right in the middle of the pond. 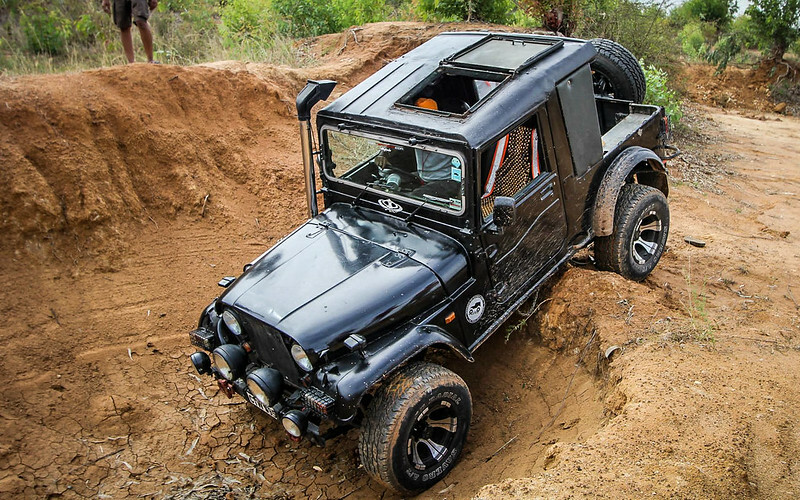 That's the thing about Jeepers, they just won't give up trying until they've had a go...LOL! Anyway, the getting stuck and being recovered cycle was finally put to an end and it was time for some refreshments before heading back home. Lunch was at our favorite Sher-e-Punjab dhaba and we were back home just in time for a birthday party that Pozu was invited to. Overall, it was quite an eventful day with loads of fun! PS: Images that aren't watermarked are sourced from the JoB facebook group, copyrights belong to the original owners. Exploring the Experiential Learning Process!